Melbourne must eats this Winter. Melbourne winter is hard to handle. With this cold winter weather, we just want to stay in doors, in the warmth of our homes, right?! Or is that just me?! To get you up and out, I have found some yummy carb feasts! It’s winter, why not carb it up!! Here’s a list of my favourite carb dishes to insulate against the cold and help shake the winter blues away. Cause food solves every problem including how bloody cold it is!! I’ve found something for everyone. From snacks to desserts and everything in between. Escape the winter chill at San Telmo, where cosy old-world Argentine interiors meet Melbourne’s open-plan dining style. 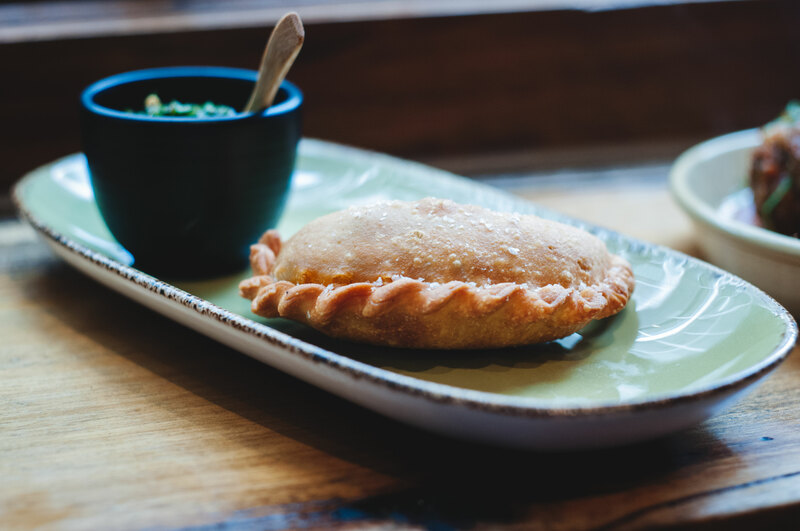 Warm up by crunching into San Telmo’s signature empanadas, featuring creamy bechamel, silverbeet and mushroom, or beef, olive and egg. 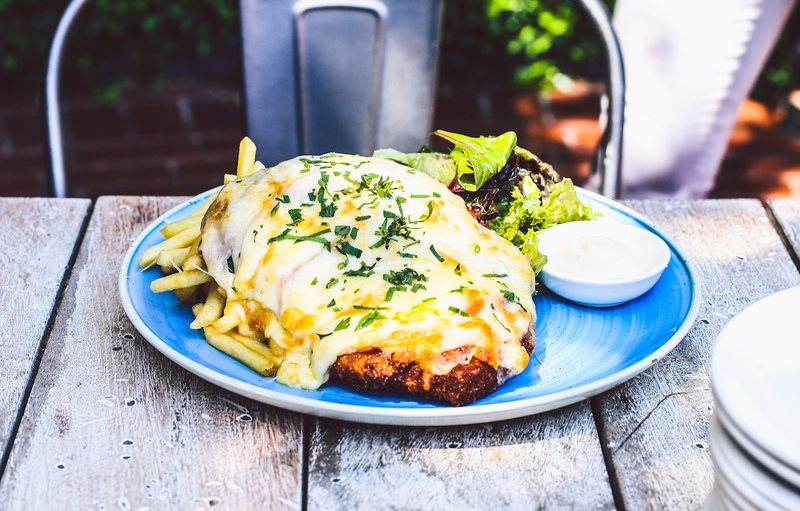 Local Port Melbourne favourite The Cricketers’ parma respects the sanctity of classical toppings, serving a crumbed and marinated free range chicken breast with ham, with chips and salad on the side. Perfectly accompanied by a beer or one of The Cricketers’ famous gin and tonics, the Parma has been described by patrons of The Cricketers as “the best in the South” and is sure to satiate any winter carb cravings. Bomba’s Rooftop will be reopening 19 July 2018 with a fresh face, and a fresh tapas menu to match. 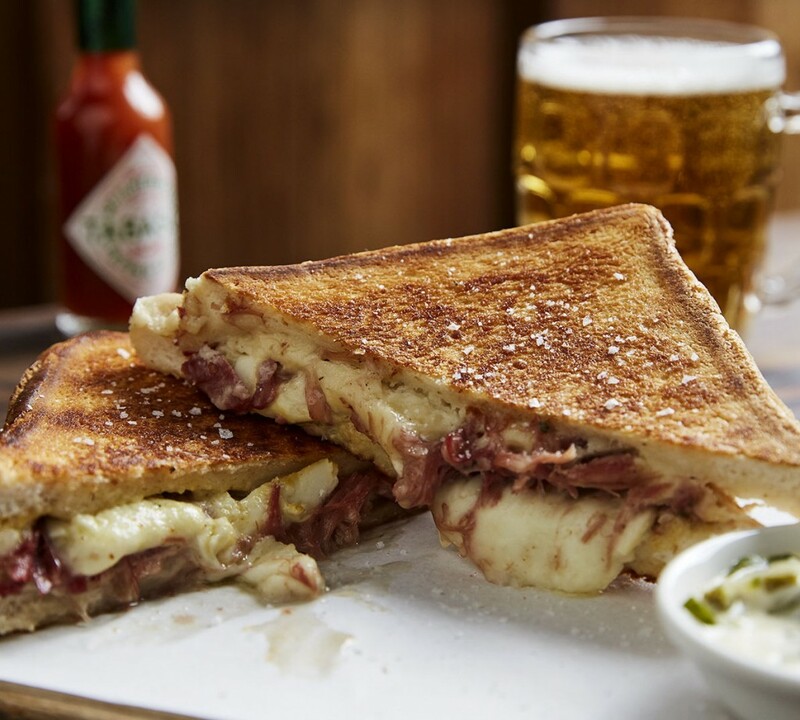 Keeping you toasty will be the ‘Bikini’, the Catalan version of the toasted sandwich with fillings including; jamón Ibérico with truffle; or smoked ham hock, mahón and mozzarella. 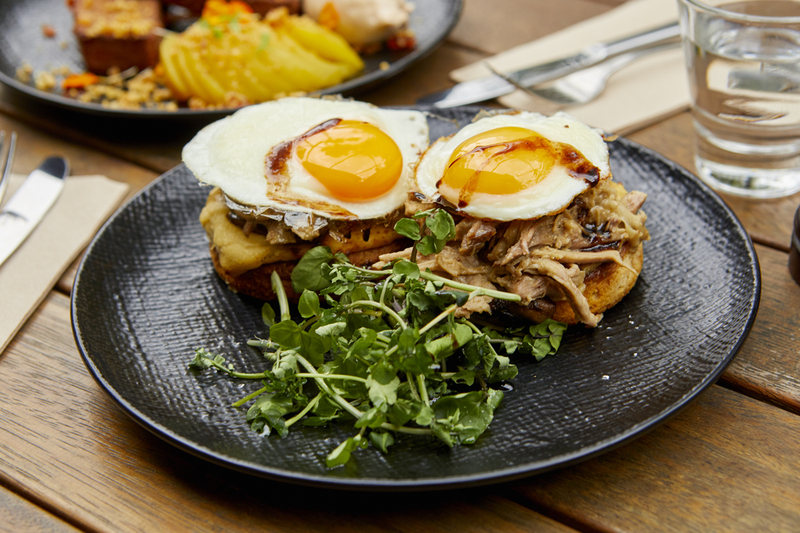 Cromwell STREAT this winter, crumpets from the on-site bakery are topped with shredded milk-braised pork, glossy fried eggs and a drizzle of mushroom and fig vincotto. Dressed snow pea tendrils on the side add a touch of greenery to this sumptuous brunch. 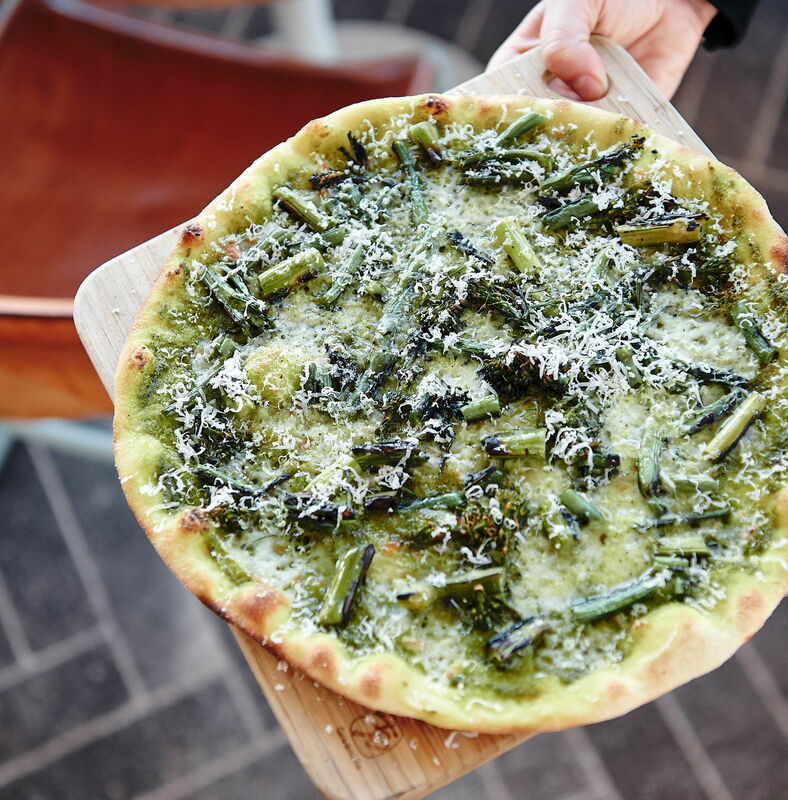 Local sea-side hotspot, Pontoon, is serving up tasty and warming pizzas straight from the wood-fired oven this Winter. Hand stretched bases come with four different classic toppings including tomato, basil and bocconcini; grilled pineapple, leg ham, tomato, mozzarella, oregano, roasted garlic, mozzarella, sumac and herbs and charred broccoli, green beans, hazelnut pesto and ricotta. Warming the soul this Winter will be the Rabbit Gnocchi from Fatto Bar and Cantina. 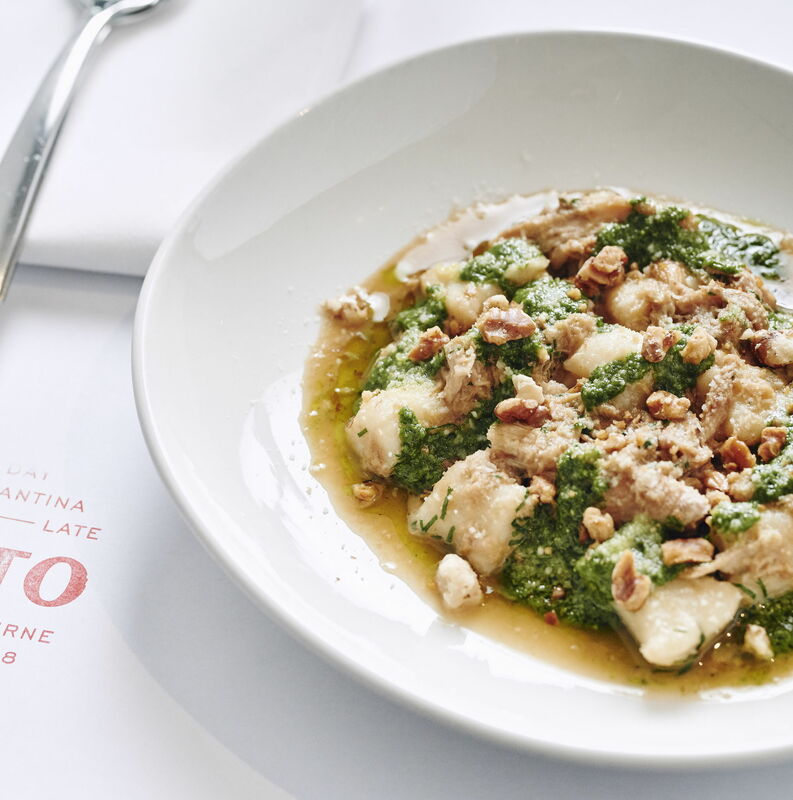 Gippsland farmed rabbits are braised with caramelised shallots, roasted chicken stock and marsala before being mixed with house made parmaesan gnocci, roquette pesto and walnuts. Heaven. 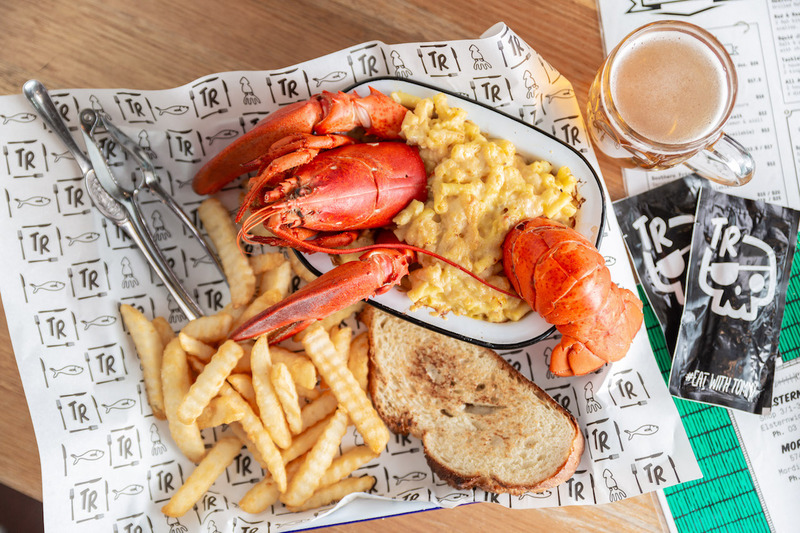 With premium fish bars across Windsor, Elsternwick and newly launched Mordialloc, Tommy Ruff’s Lobster mac and cheese with crinkle cut chips and cornbread is the ultimate carb fix, guaranteed to combat the winter chill. A winter warmer from a neighbourhood favourite. 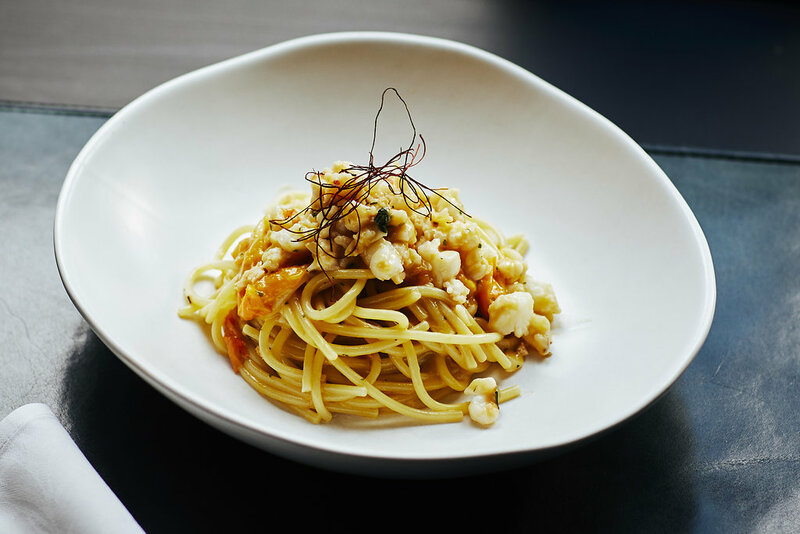 Cosy up inside Bar Carolina with the ultimate carb fix – pasta… In this dish artisan spaghetti made in Gragnano (Naples) is tossed with crayfish, garlic, chilli and fresh tomato. 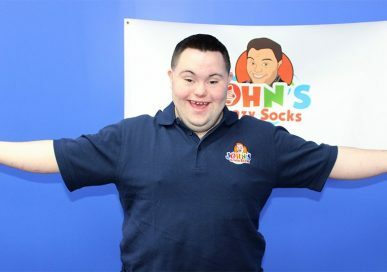 Bellissimo! 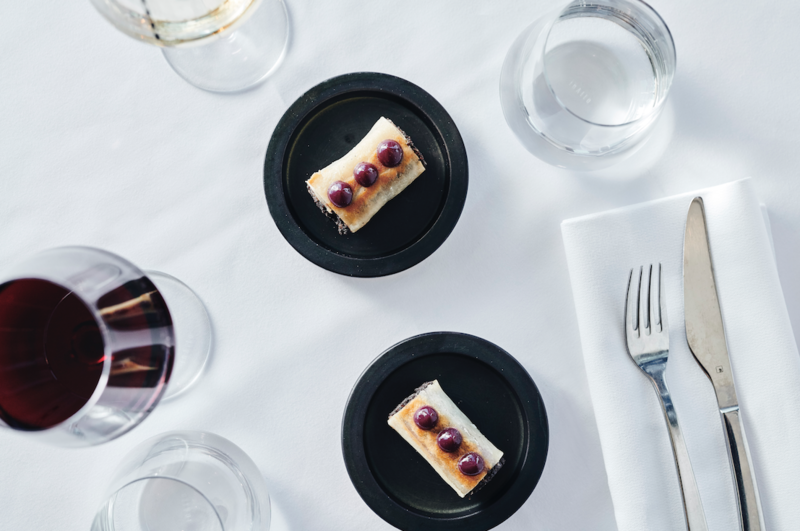 A playful take on a sausage roll, the Black Sanga Roll is a new addition to the Stokehouse menu and certain to be a venue favourite. Featuring house-made black pudding rolled into logs, encased in thin, compressed pastry, the black sanga roll is brushed with a spicy hit of Dijon and served with a red cabbage ketchup. Simply delicious. 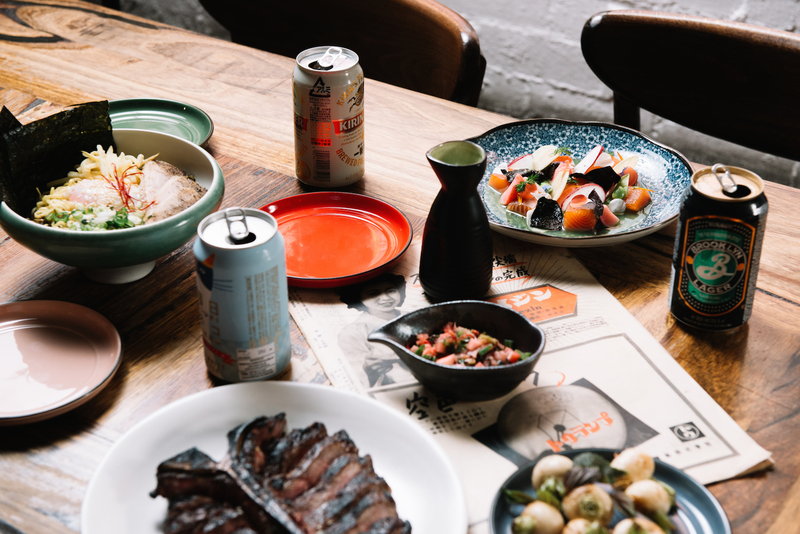 Just off Brunswick St, Nómada Bar and Restaurant golden glow will draw you inside. 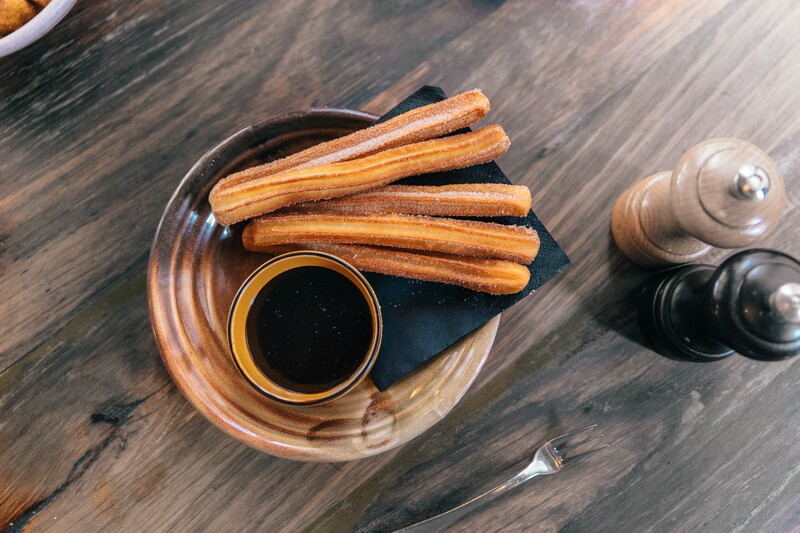 Whether ordering from the whole menu or simply stopping for a nightcap delved out of the sherry cellar, sign off your evening with a serve of the deliciously sugar dusted Nomada Churros, you’ll be savouring every crumb when they are all gone. Take it from the Italians, this pizza comes recommended. 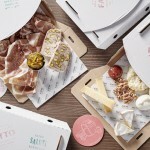 Adhering to their motto, typical, yet untypical Italian style pizzas can be expected on the menu. 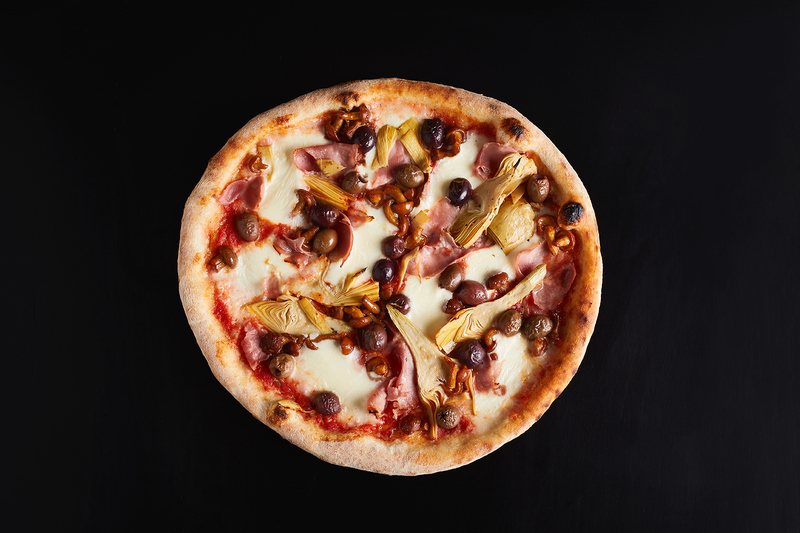 With handmade dough lovingly kneaded, then baked, toppings range from the traditional Margherita to the Patate; pancetta, fior di latte, potatoes and truffle paste. Visitors will be warmed inside and out this Winter at Pontoon with sugared doughnuts and warm fire-pits. 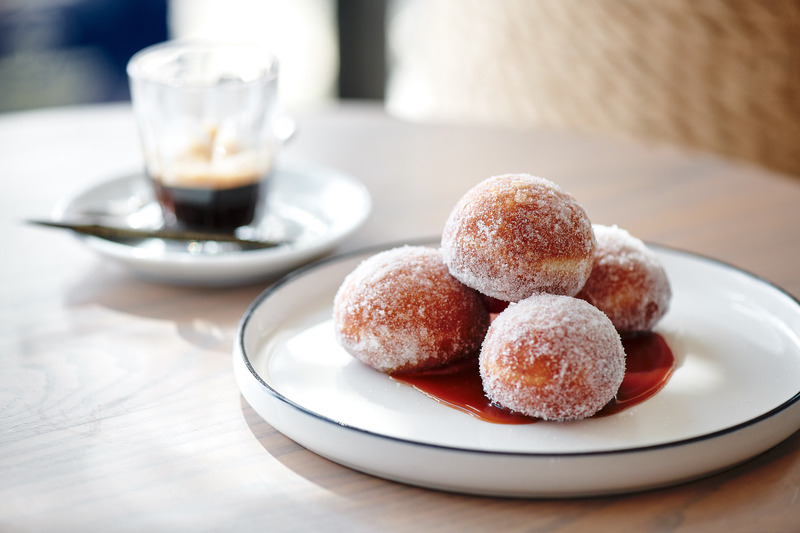 Head Chef Rhys Hunter serves these doughnuts with a sweet rhubarb jam and lashings of butterscotch sauce. If you like your carb fix with a side of vibe, Tokyo Tina will warm the heart and the belly this winter. Whether popping by for lunch or dinner, head inside and order the Smoked Brisket Ramen when you are next in need of a bowl of steamy goodness. Served with bok choy and the traditional ramen egg, fans can expect to taste real Japanese flavours here. 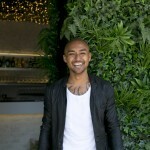 Double up on the liquid intake and take part in a Sake Flight, put together from your bartender’s own Sake highlights. 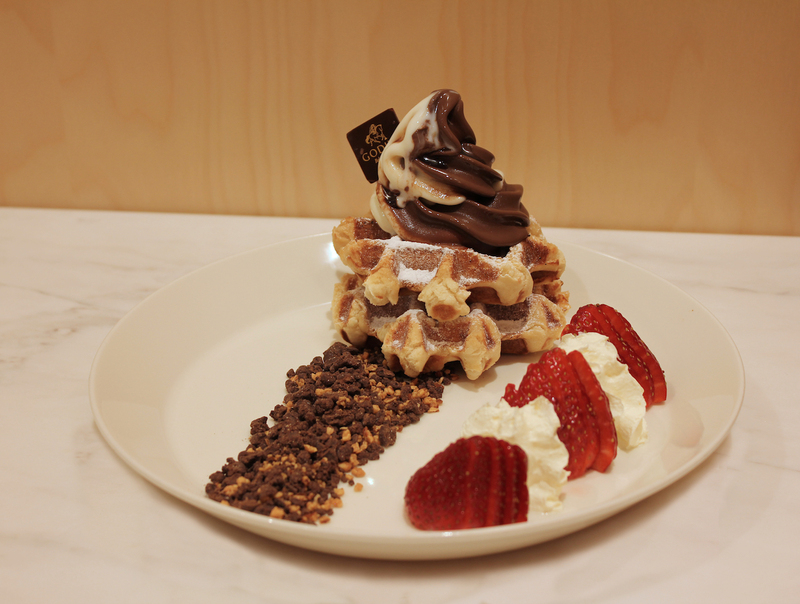 Carb up at GODIVA with its newly launched indulgent Belgian Waffles. Spiralled on top of two fluffy Belgian waffles sits creamy vanilla and chocolate soft serve ice-cream, drizzled in decadent sauce straight from GODIVA’s chocolate tap, served with fresh strawberries and a nutty biscuit crumb. Pop on a warm coat, text a mate and enjoy some delights.